If you haven’t yet found an Agent Provocateur fragrance that you’ve liked, things are (probably) about to change. 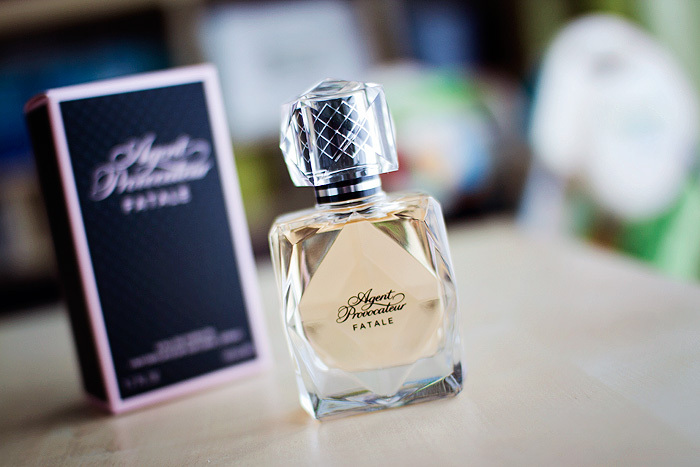 The release of Agent Provocateur Fatale heralds a more mainstream approach from the lingerie brand who have thus far been known for their slightly quirkier take on perfumery. I’ll begin this review by putting my hands up and admitting to being a die-hard fan of the original pink-bottled Agent Provocateur in all it’s rose-tinted skankiness. From the off, Fatale has its work cut out, at least for me, to live up to the original. This sense of departure, of exploring new ground, is immediately apparent in the packaging design. Gone are the hand-grenade ‘fume bombs of old… goodbye to opaque containers and hello to crystal-cut clarity and what amounts to a showier centrepiece. It seems a shame to muddy the waters of what is such a striking and instantly recognisable part of the brand’s identity, but hey… what do I know? As much as Agent Provocateur may want their latest femme to be of the “fatale” variety, my nose finds her a little too playful to live up to Hollywood’s benchmarks of Phyllis Dietrichson and Cora Smith. 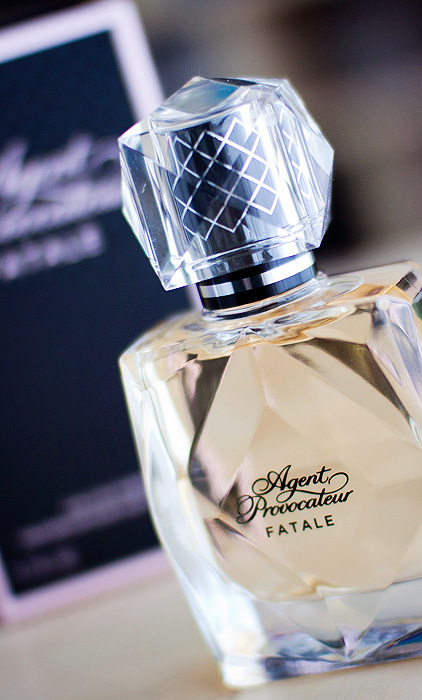 It’s true that Fatale is seductive… I mean, if Agent Provocateur know how to do one thing well, it *is* the art of seduction, after all…. but with this latest release, I’m missing the deceptive kickback, the surprise that waits patiently in the wings. Upon first spray, the powerful blend of blackcurrant and patchouli is brought to the fore – a combination that proves to be a heady, exotic pairing with a juiciness that retains the essence of youth. A scent best-suited for the cooler weather, its inherent warmth springs forth from the sensual musk that lingers many hours after initial application. There’s also a slight bitterness omnipresent throughout, gently tempered by the creamy gardenia… it has the same affect on me as how a well-made tiramisu might still appeal to a coffee-hater. For me, Agent Provocateur Fatale is all about the slow smoulder… its gourmand hints of chocolate are to thank for an endurance that ensures a magnetic personality. It is… at least, reassuringly addictive. Though it may not be my favourite AP release to date, I can’t help but return to my wrists for just. one. more. sniff. What it lacks in old-skool glamour, it makes up for in charm.